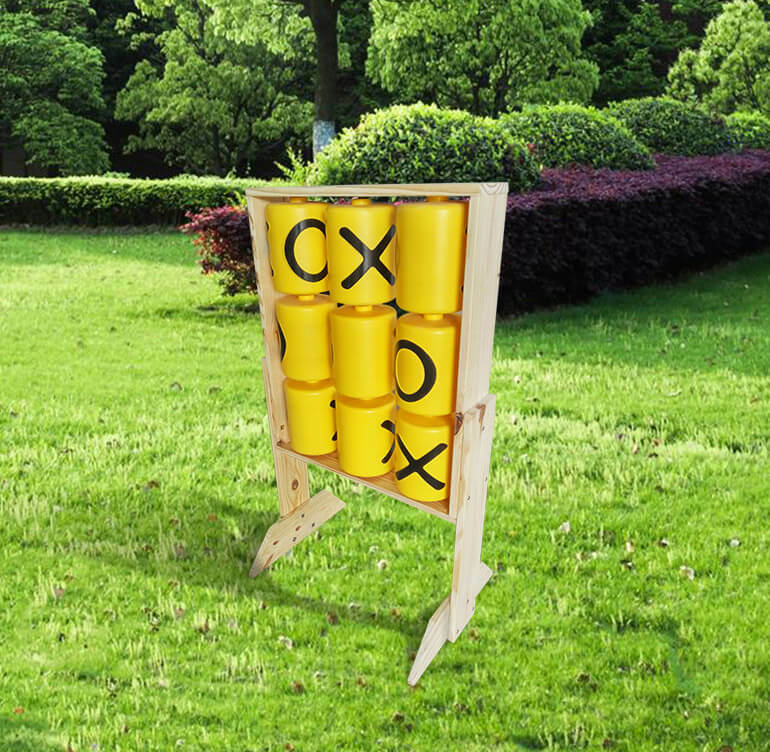 Play for fun or develop the unbeatable strategy with the Tic Tac Noughts & Crosses wall. It goes by a few names, but everyone knows the rules to noughts and crosses. This game is an easy way to practice critical thinking, and easier to play with big tic tac blocks. Our Tic Tac Naughts and Crosses play wall teaches kids about strategy and sportsmanship. Just like the paper version only bigger, younger kids can learn to play, making their move by spinning large easy to use plastic blocks. Safe fun for kids outdoors with treated timber and weather protection. Our Noughts and Crosses is treated via high temperature drying, degreasing and is stained against wood rot and insect damage. We know how important safety is for your kids, out Noughts & Crosses passes International EN71 Safety Standards.